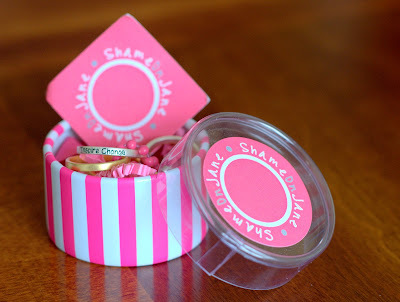 Shame on Jane is a cute jewellery line which specializes in RemindeRings. Basically, they are gold or silver coloured bands with a message inscribed in them. The messages range from sassy to practical, and there are some great ones for weddings as well. I absolutely loved the inspirational rings. I think they are such a great idea! It's awesome to have that reminder when you see them on your hand to try and make a step in that direction. I love that you can wear just one or stack a few for a funky look. The rings are nice and light, which is great as I totally forget I am even wearing them; they are so comfortable. I rarely wear any rings beyond my wedding bands, but these ones are so versatile they match with every outfit. So cute! And how about that packaging? When I opened the mail I fell in love...it is soooo pretty! Shame on Jane also has personalized monograms, date or zipcode necklaces. I think it would be such a wonderful gift to give a date necklace for someone's wedding, anniversary or the birth date of their child. Hmmm...good idea for Mother's Day! 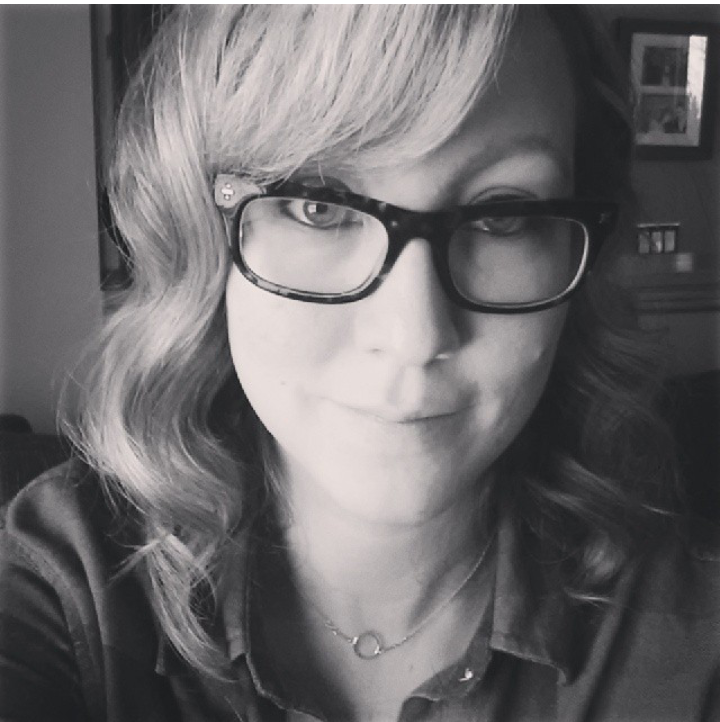 Shame on Jane is running a contest right now for Mother's Day where you can come up with the next message for RemindeRings. 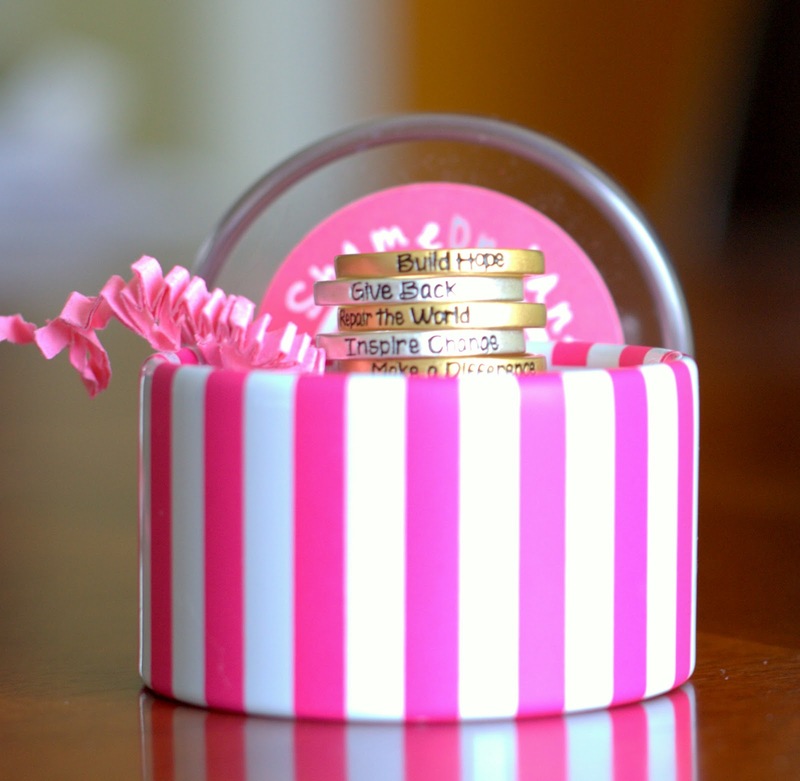 If your message is chosen, you get a nice little shopping spree, as well as one of the rings that you helped design! A note for my readers: I think that it is only open to U.S. residents... :( Sorry fellow Canucks! Disclosure: I received a set of the inspirational rings so that I could conduct this review, but all opinions, of course, are my own. I received no further compensation.